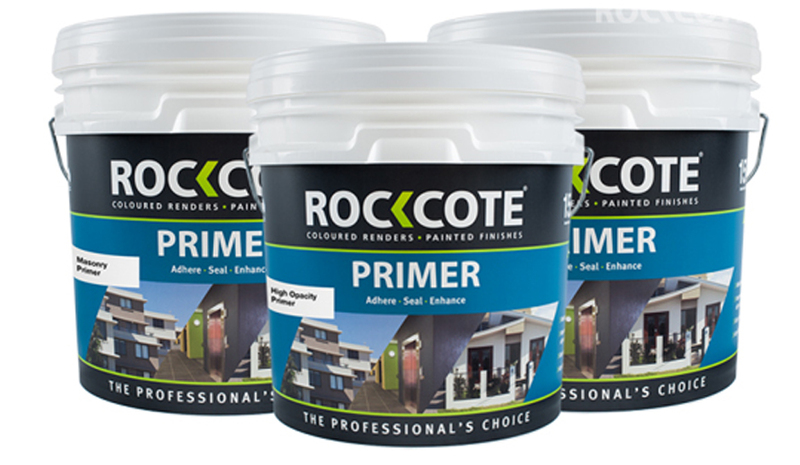 ROCKCOTE MgO Board Primer is specifically formulated for use on the smooth side of MgO (Magnesium Oxide) board prior to the application of ROCKCOTE Armour or EcoStyle paints. ROCKCOTE MgO Board is suitable for both internal & external use and it is environmentally friendly, containing zero VOCs (Volatile Organic Compounds). MgO Board Primer will increase the adhesion of subsequent coats of paint to the smooth side of the MgO board, and assisting in sealing the substrate as well as enhancing the final paint finish on the board. It is specifically designed to be highly adhesive on the MgO board surface. For MgO substrate paint systems, it will replace ROCKCOTE Solprime as the first step in the system.